The president spoke after senators earlier Thursday reviewed the FBI report on his Supreme Court nominee. WASHINGTON — Brett Kavanaugh will "potentially, hopefully" be on the Supreme Court in short order, President Donald Trump said Thursday night to a crowd chanting "Kav-a-naugh" in Rochester, Minn.
Trump was speaking while Washington vote-counters were still trying to figure out how a handful of Republican and Democratic senators would vote on a procedural roll call Friday and a final confirmation tally that could come as early as Saturday. The remarks were Trump's first extended commentary on his Supreme Court nominee since senators began reviewing the FBI background check of him earlier Thursday. At the rally, Trump said Democrats' "rage-fueled resistance is starting to backfire" politically. "All you have to do is look at the polls over the last three or four days," he said. Democrats "have been trying to destroy Judge Brett Kavanaugh since the very first second he was announced," Trump said. Again, he cast Kavanaugh as the victim of political warfare, lamenting "what they're putting him through" in Washington. As Trump took the stage, the Wall Street Journal published an op-ed by Kavanaugh in which he sought to assuage the concerns of senators — and many Americans — who worried that his partisan-infused testimony before the Senate Judiciary Committee a week ago suggested that he might not be impartial from the bench. "I know that my tone was sharp, and I said a few things I should not have said," Kavanaugh wrote, framing his testimony as the result of his frustration with the process and his desire to clear his name after he had been accused of sexual assault — a charge which he categorically denied. "Going forward, you can count on me to be the same kind of judge and person I have been for my entire 28-year legal career: hardworking, even-keeled, open-minded, independent and dedicated to the Constitution and the public good," Kavanaugh wrote. In Washington, all eyes are on four lawmakers — Republican Sens. Lisa Murkowski of Alaska, Jeff Flake of Arizona and Susan Collins of Maine, along with Sen. Joe Manchin, a West Virginia Democrat — who will determine whether Kavanaugh is confirmed or defeated. 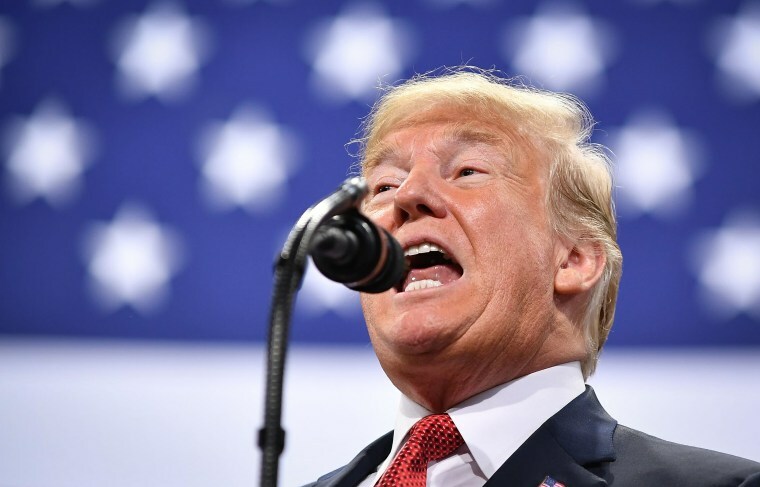 Trump drew rebukes from the three Republican senators after he ridiculed Kavanaugh accuser Christine Blasey Ford during a rally in Southaven, Miss., Tuesday. On Thursday, with those votes hanging in the balance, he chose not to repeat his attack on her.